The Campaign was launched with lead gifts to support the investigation of the future programmatic and physical needs of the Museum, its Collection, its programs, its partners, and the community. 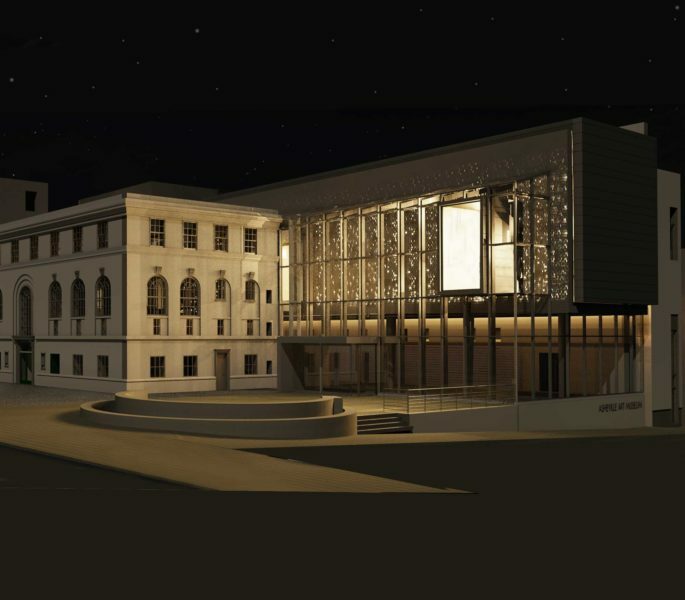 The ArtWORKS for Asheville/The Campaign for the New Asheville Art Museum has raised over $23 million dollars from a diverse and balanced range of public and private, local, regional, and national donors in support of the capital project, as well as having raised significant funds towards its endowment goals. With 97% of the capital project goal raised, we are in the final stretches of meeting and exceeding the Campaign goal for the new Museum. The Museum has also been awarded an exciting 1:1, $1 million challenge grant for the endowment goal, so efforts are underway to meet the match in support of the Museum’s endowments and sustainable funds for education, Collection, and exhibition programs. Why does the Campaign Goal Include Money for Endowments and Sustainable Funds? Healthy endowments and sustainable funds are the basis for any nonprofit to fulfill its mission and service to the community. The Museum plays a vital role as an educational and cultural resource and economic engine for the region. Strong endowment and revolving funds are the most important form of investment to support and sustain the Museum for future generations. Who Are the Architects, and Why Were They Selected? The Museum team is both internationally acclaimed and locally based. Ennead Architects, design architects, are renowned for their work on cultural institutions throughout the country including the Brooklyn Museum, the American Museum of Natural History, Carnegie Hall, the Stanford Museum, the Peabody Essex Museum, and many more. They are recognized for their special knowledge of the complex needs of museums, their visitors, and their collections, for their sensitivity to materials, and for their elegant, contemporary, and creative melding of the old and new into welcoming signature buildings. They were unanimously recommended by the Museum’s volunteer building committee and board of trustees after an extensive national search. To complete the Museum’s construction, ARCA Design of Asheville is leading an outstanding team that includes structural, mechanical, lighting, IT, security, acoustics, and other experts in their fields. Beverly-Grant, Inc. is leading the construction project, with a talented team of local and regional subcontractors.